Jimmy Butler’s combative nature has struck again, but this time it was aimed at Philadelphia 76ers coach Brett Brown rather than his teammates. Butler has often been outspoken in opposing Brown and his system, according to ESPN‘s Ramona Shelburn and Adrian Wojnarowski. This includes a video session after Philly’s 129-95 loss to Portland on Monday, which some witnesses considered “disrespectful” and an unacceptable way for a player to address a coach. 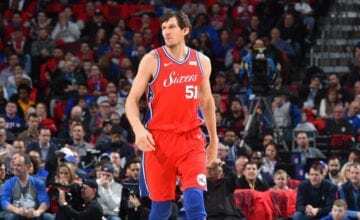 The chemistry between Philly’s big three – Butler, Ben Simmons and Joel Embiid – is already struggling enough without a new spanner in the works. 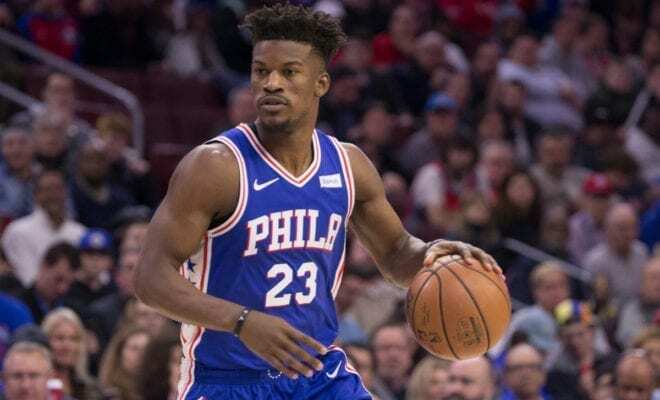 Butler wants to play in more traditional pick-and-roll and isolation sets, rather than trying to force himself into the Sixers free-flowing offense, league sources told Wojnarowski. Brown had no issue with the exchange and considered it normal for his relationship with Butler, but not everyone in the organisation is convinced. Butler’s slow assimilation to the team’s culture has the organisation wondering about his long-term viability and fit with the team, league sources said. 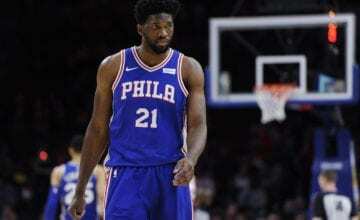 Philadelphia are still keen on building the franchise around Butler, Embiid and Simmons, but bringing together the trio has proven to be more of a challenge than first thought. “We’re coming together. You don’t just click your heels and throw Jimmy Butler in and everybody’s going to be playing the same way and style,” Brown said after Monday’s victory over the Clippers. Butler, who becomes a free agent this summer, has said that his preference is to stay at the Sixers, but that may change if the issues aren’t worked out.